The Ilford Recorder recently ran a story about our Family Learning Project. 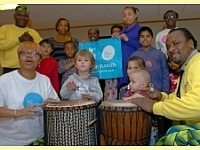 The project is currently funded by Big Lottery, but this will come to an end next year, in 2013. The project has made a massive impact on the families in the borough and it will be a shame to see it come to an end.